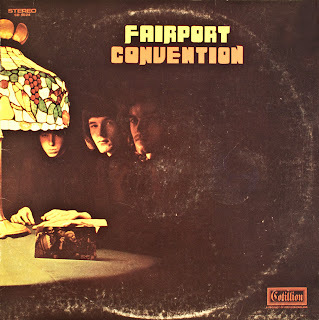 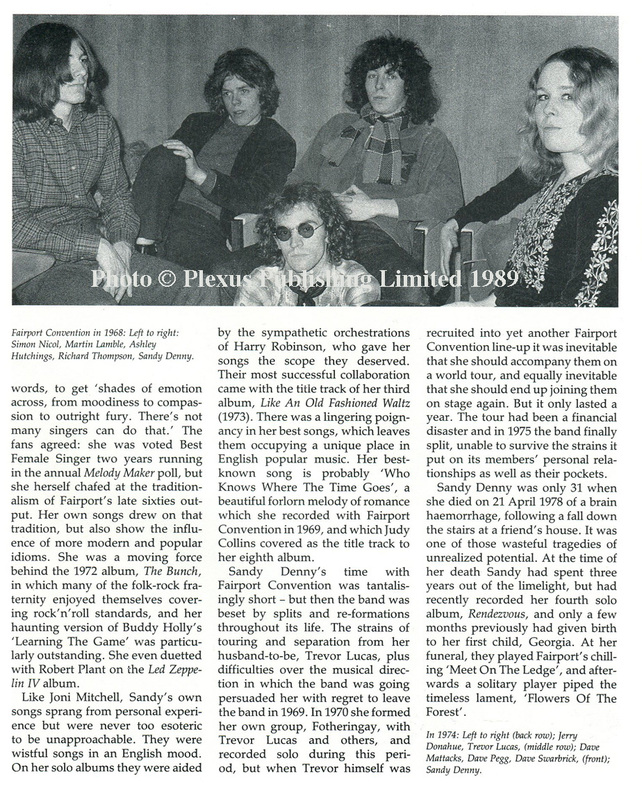 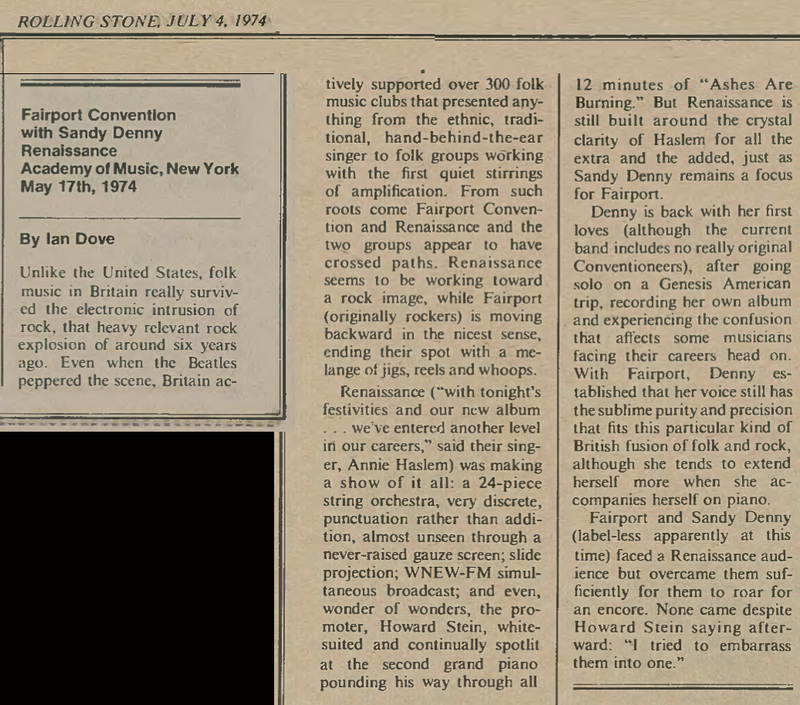 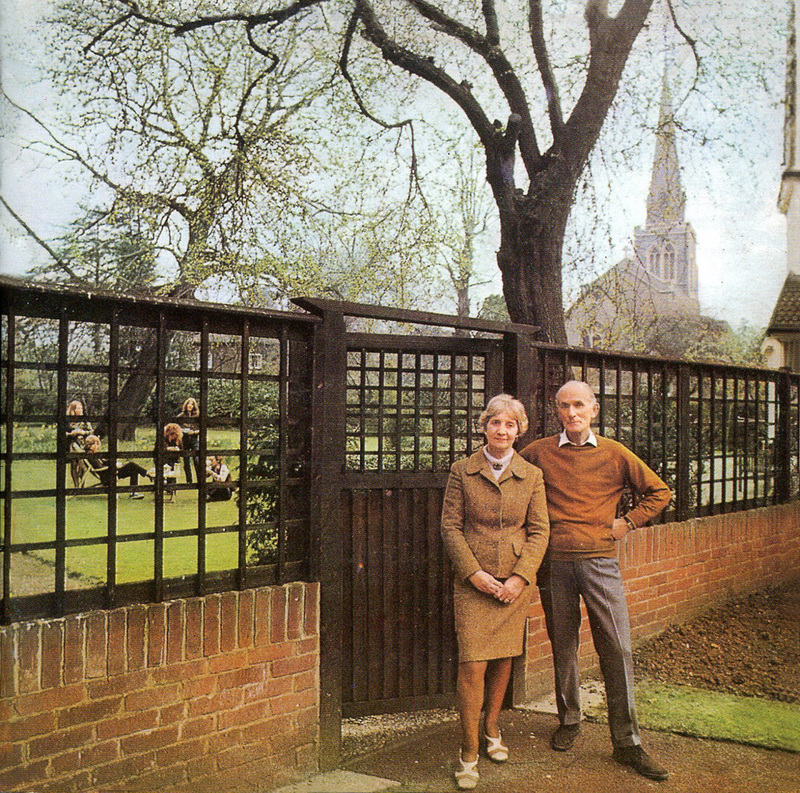 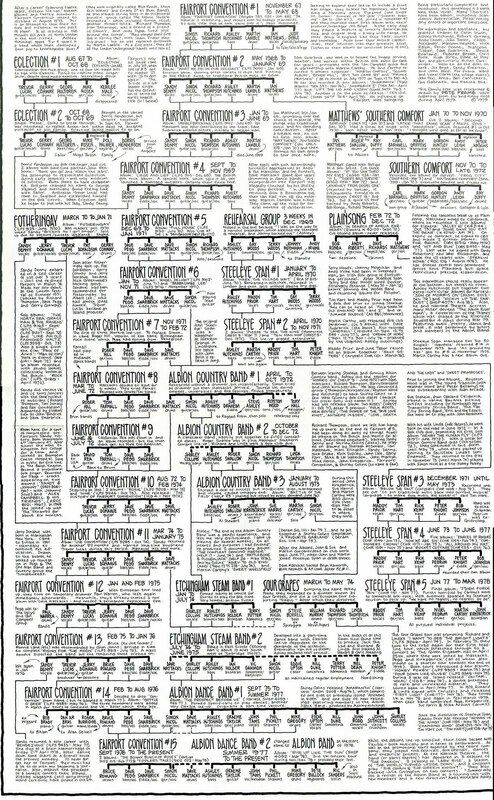 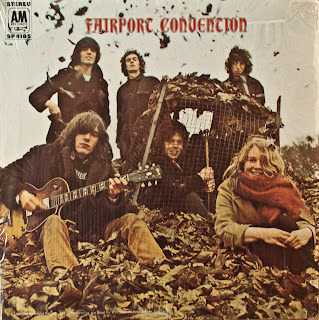 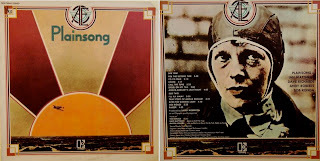 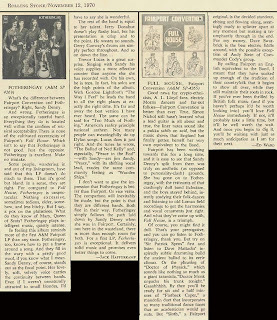 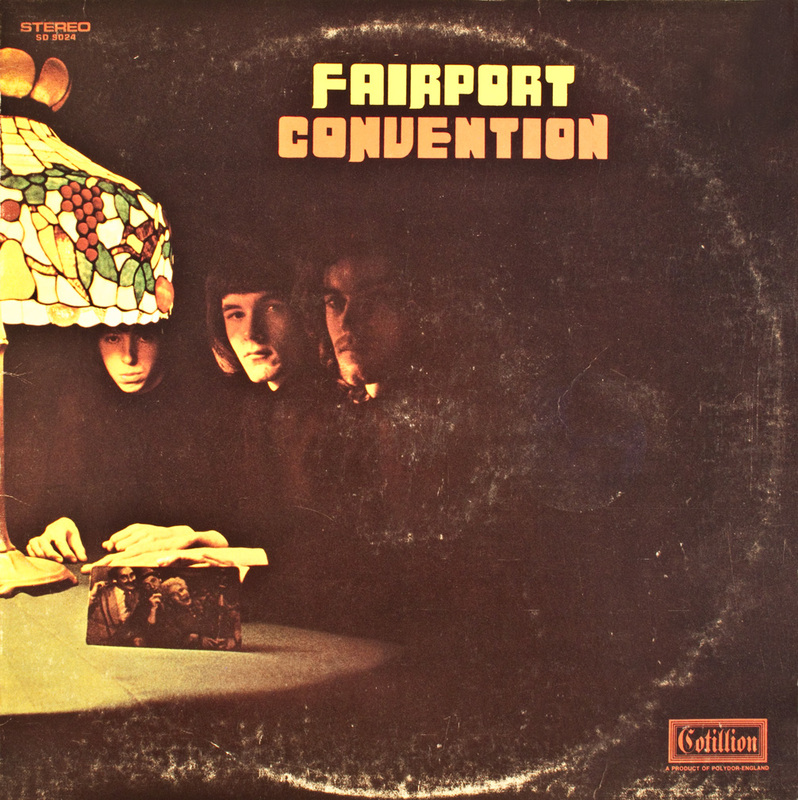 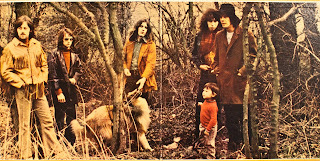 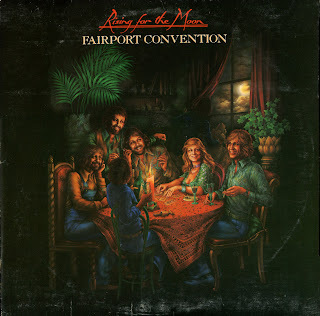 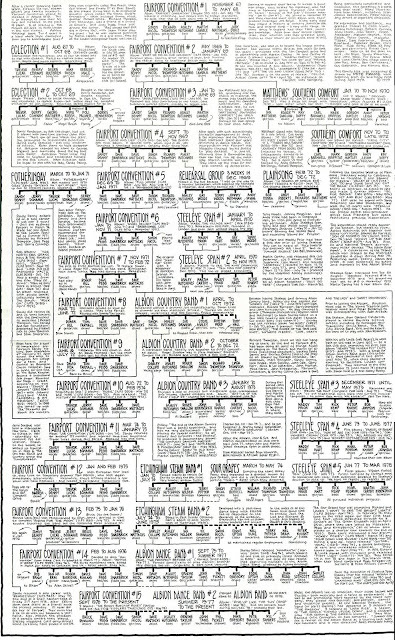 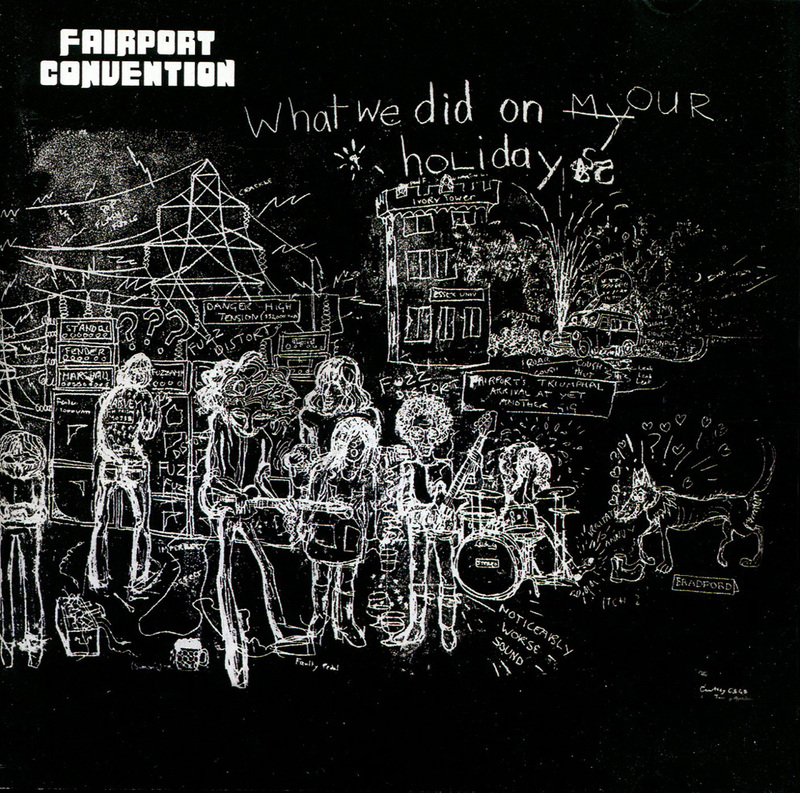 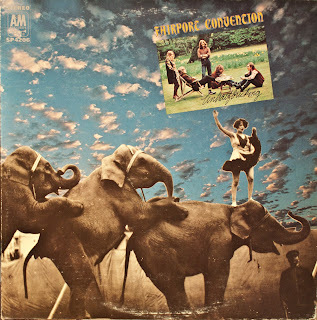 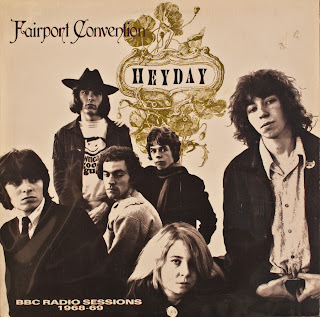 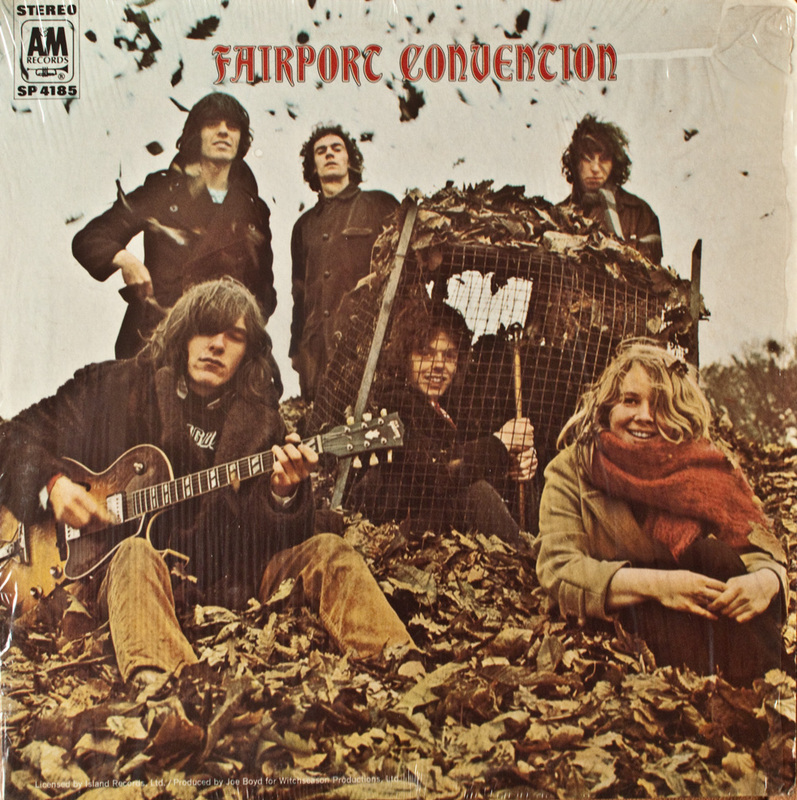 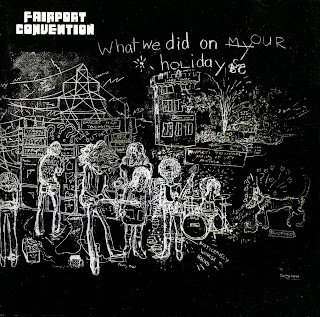 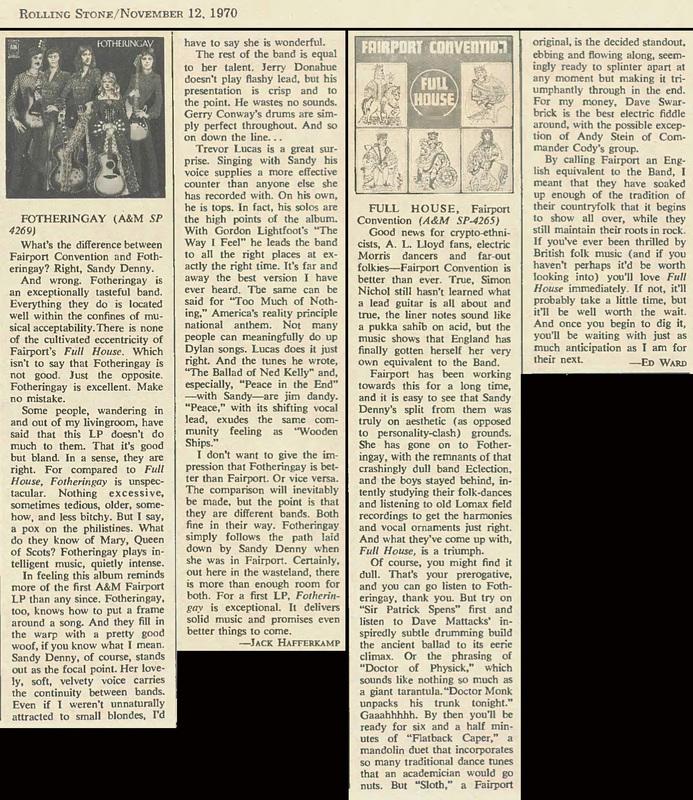 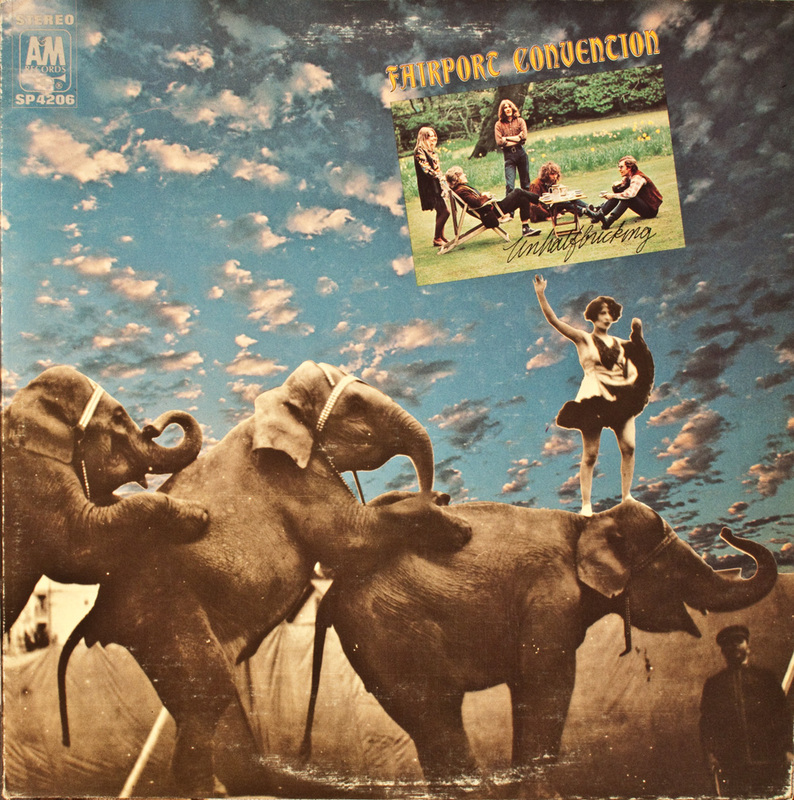 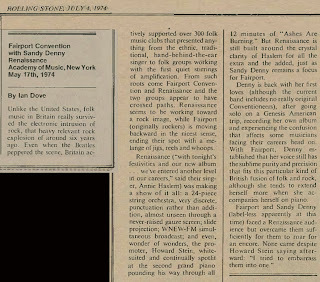 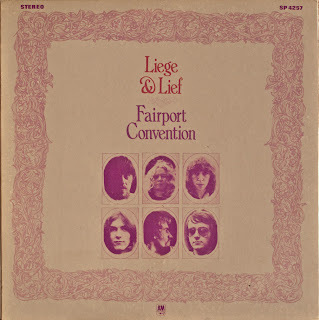 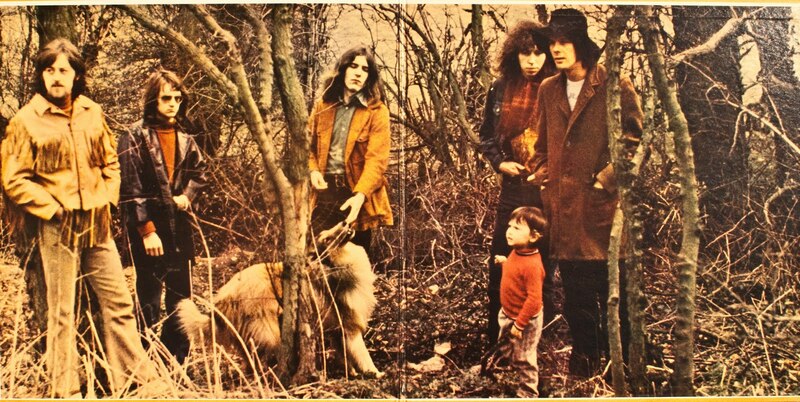 Fairport Convention have a long and complicated history. 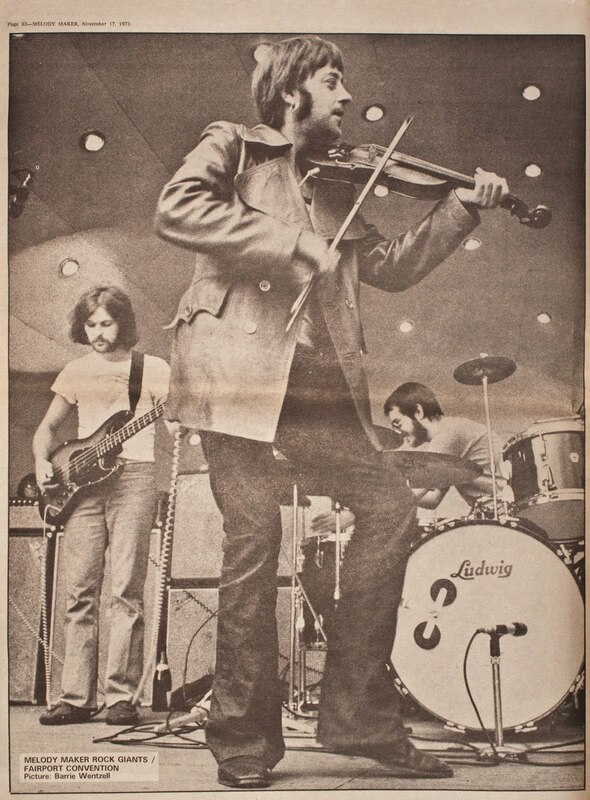 form or another ever since. 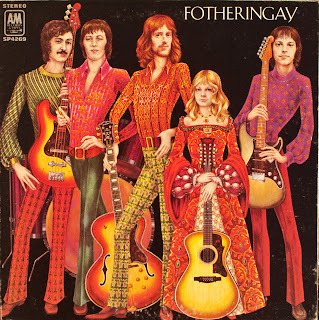 off with Fotheringay and then launching a solo career. 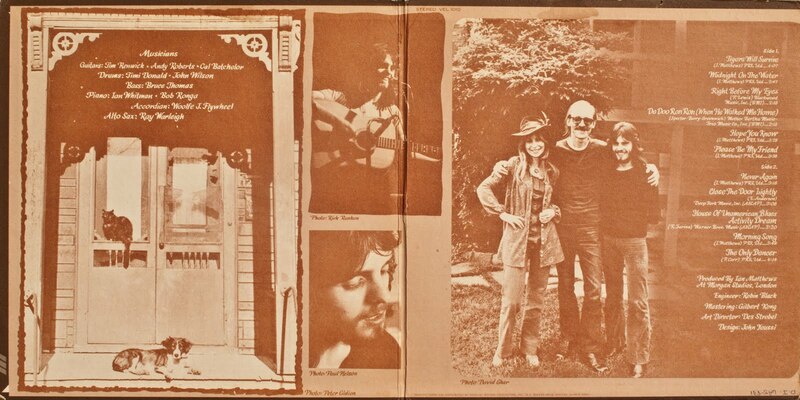 album and a tour of the USA. I got after the show. 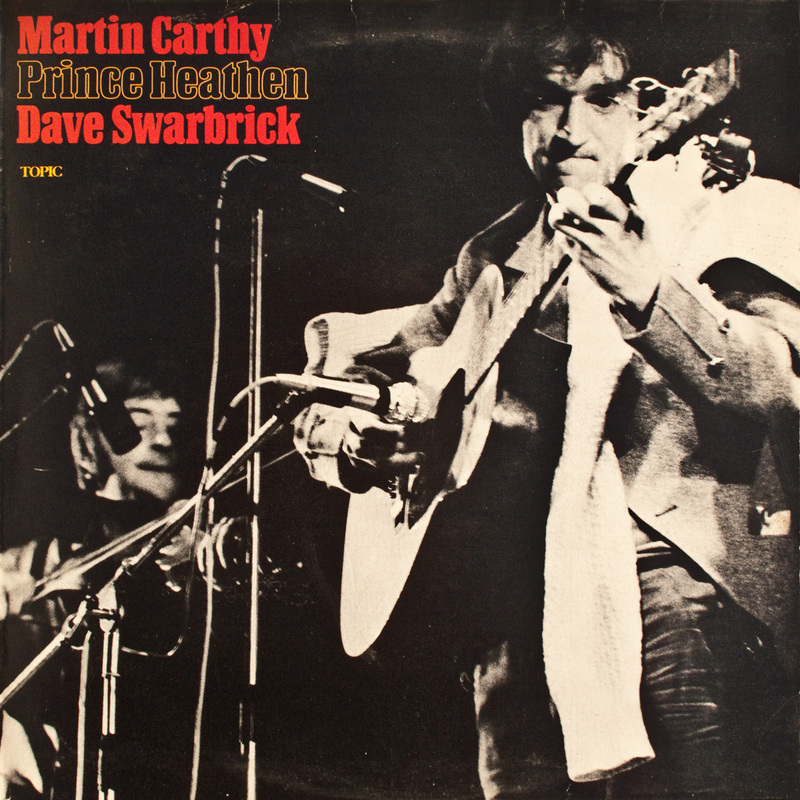 Dave Mattacks and Dave Swarbrick. boxed set by Carthage Records. 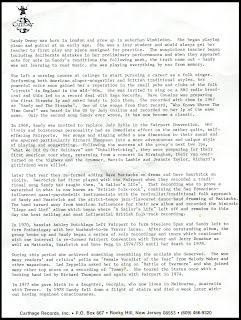 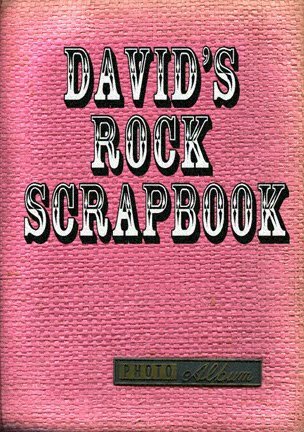 of the off-shoots from "Rock Family Trees"
Old Fashioned Waltz", and touring the USA. 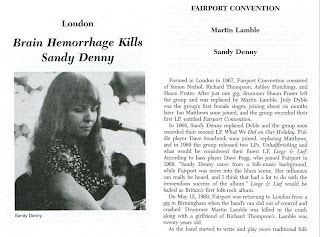 Sandy talks about rejoining Fairport. 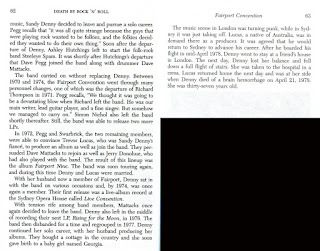 From the book, "The Day The Music Died". 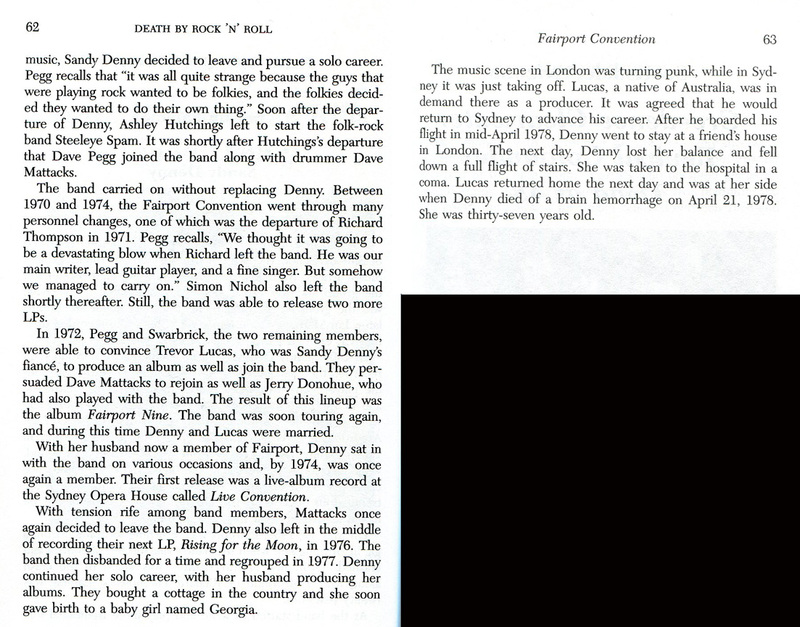 From the book, "Death By Rock & Roll"
Published by Citadel Press 1995.
the band and it's early period. 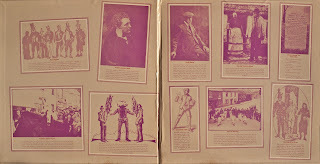 and some of it's members. 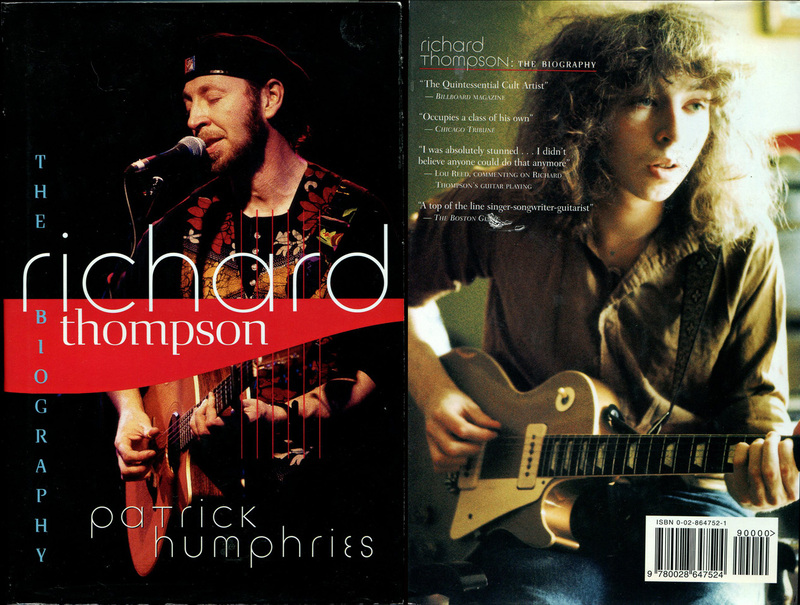 life of richard Thompson's girl friend). 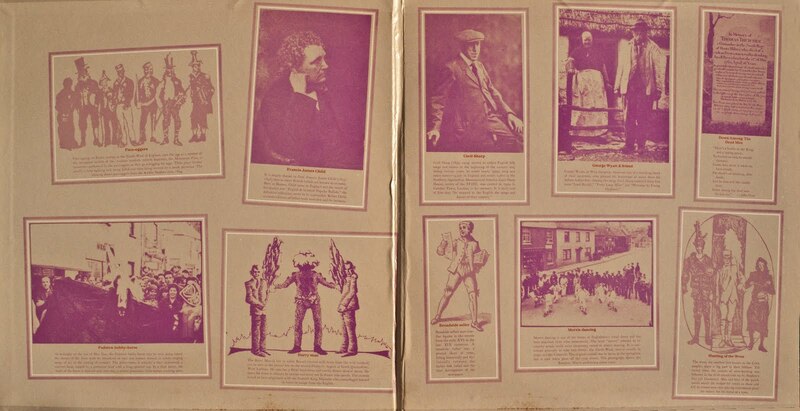 contrast to the Marx Bros. photo. 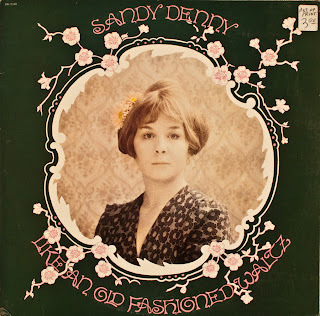 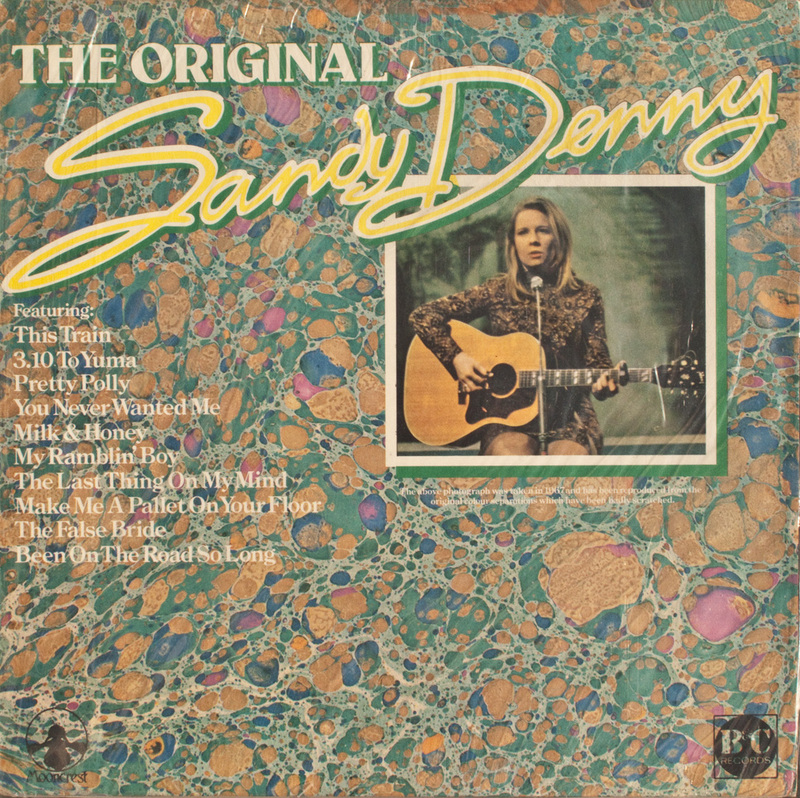 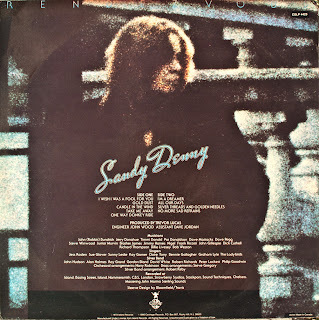 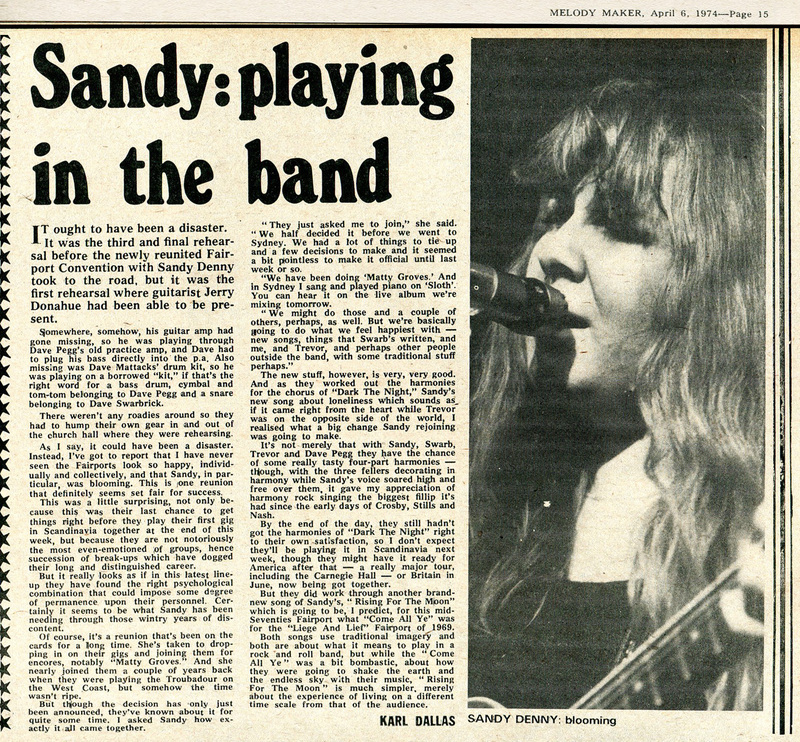 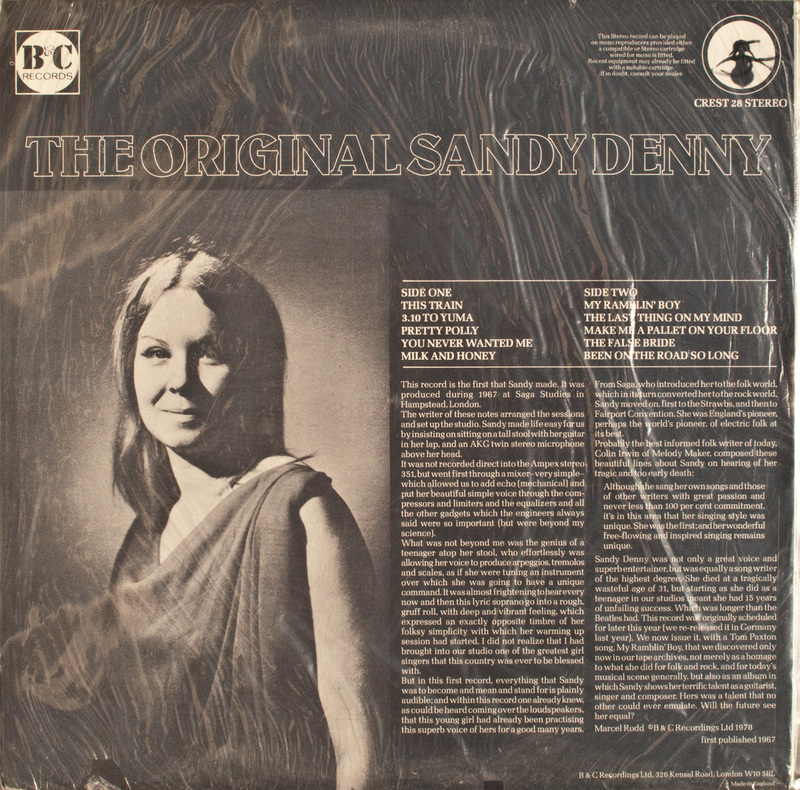 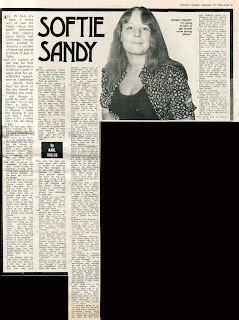 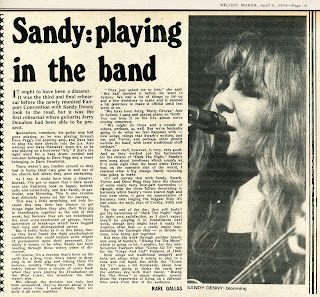 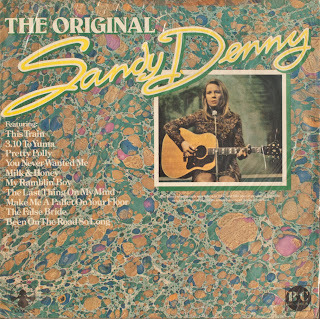 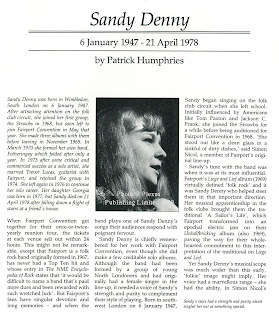 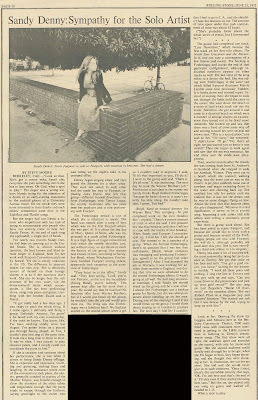 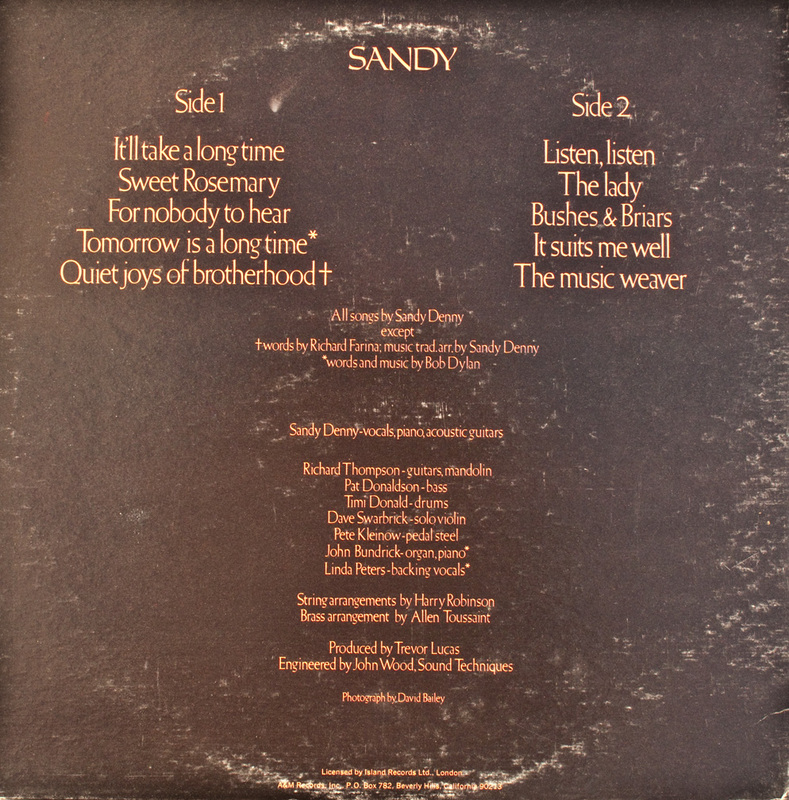 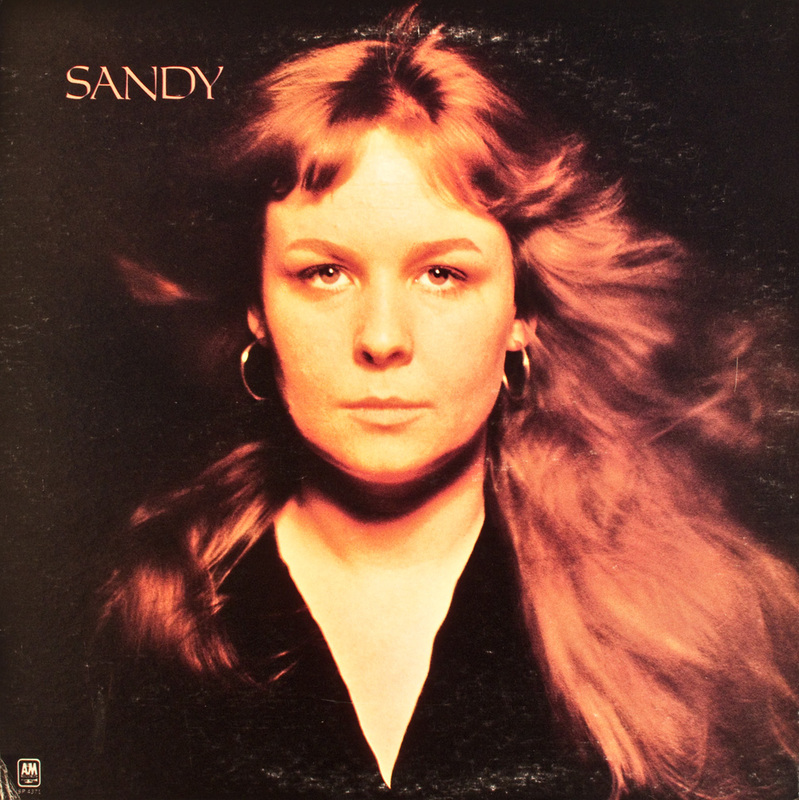 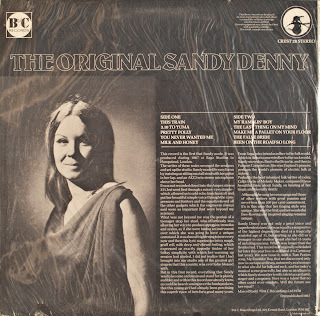 Sandy Denny's first recordings from 1967. 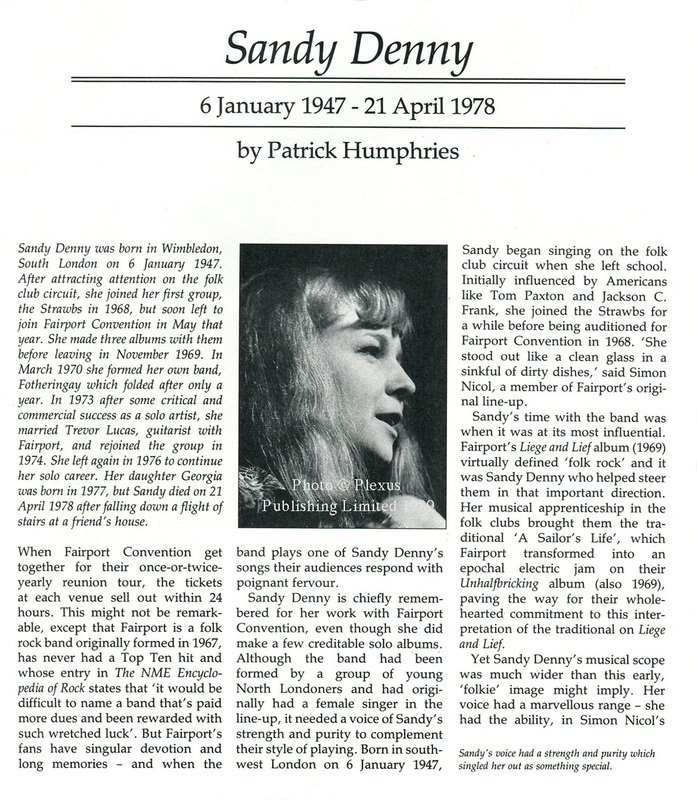 They were released in 1978 after her death. 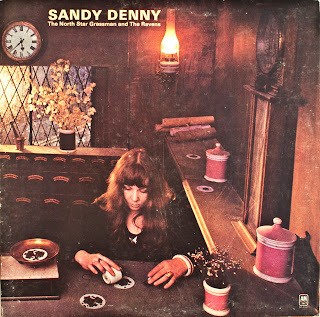 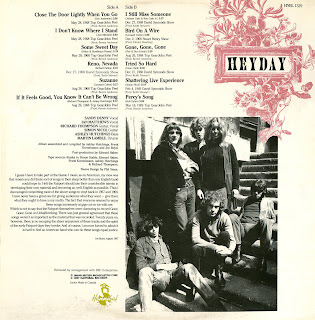 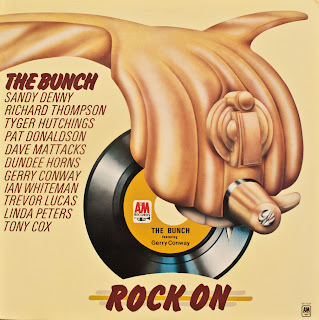 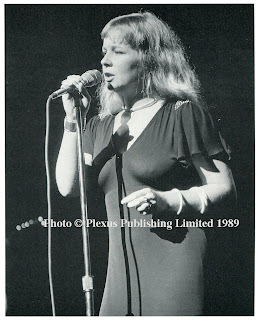 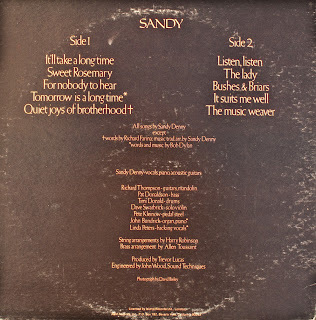 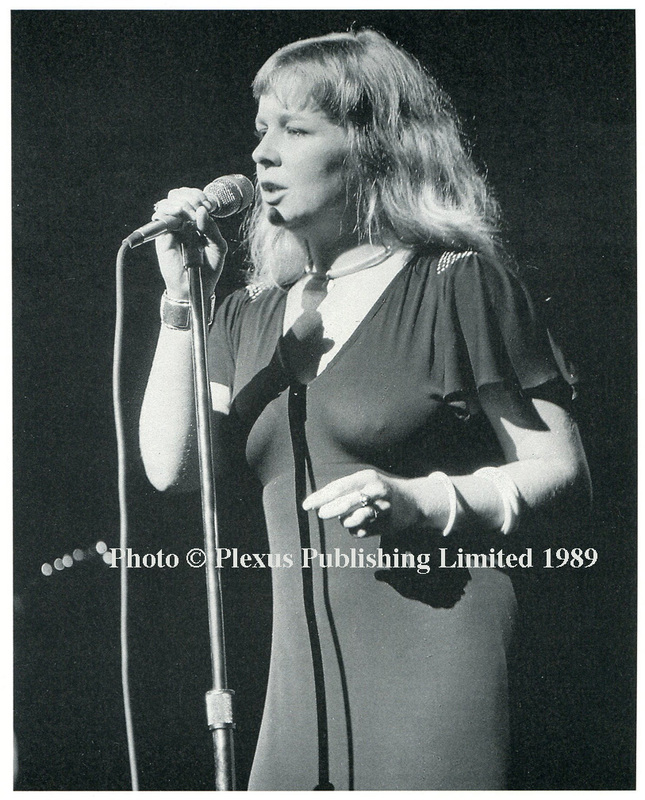 and the first with Sandy Denny. 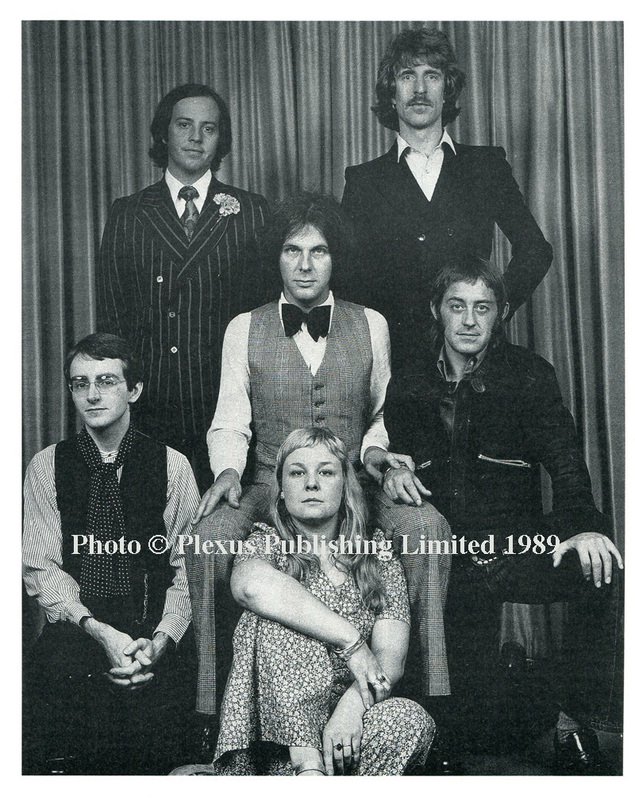 by the band while waiting back stage. 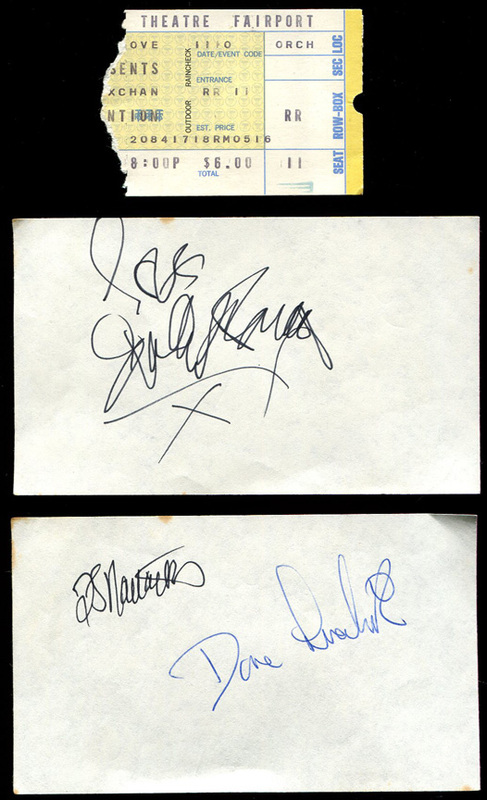 over to get a shot of it before it was erased. 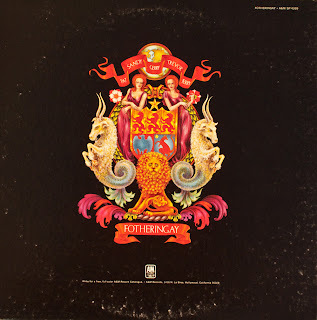 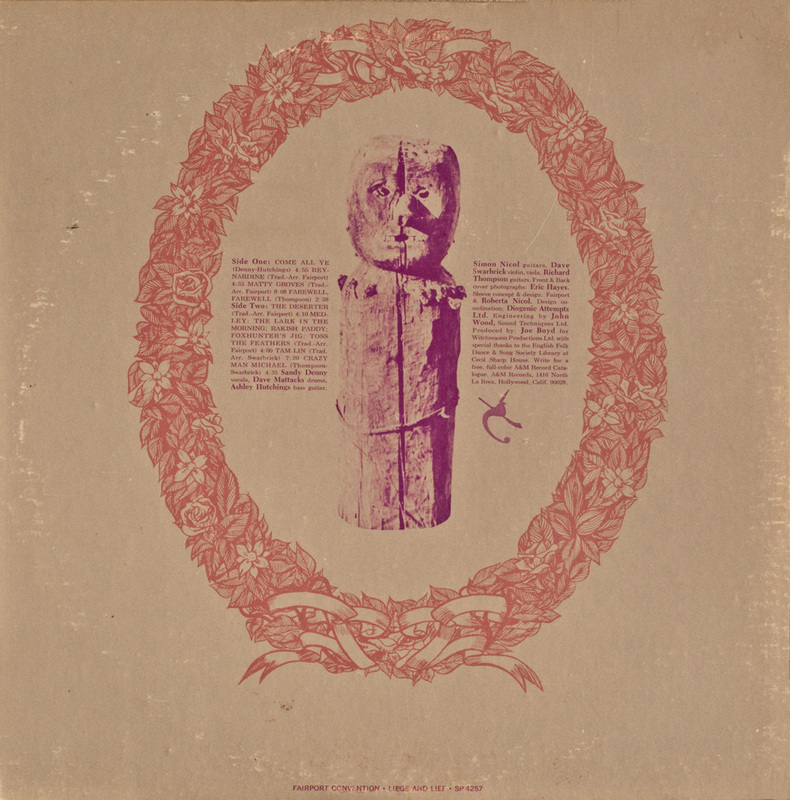 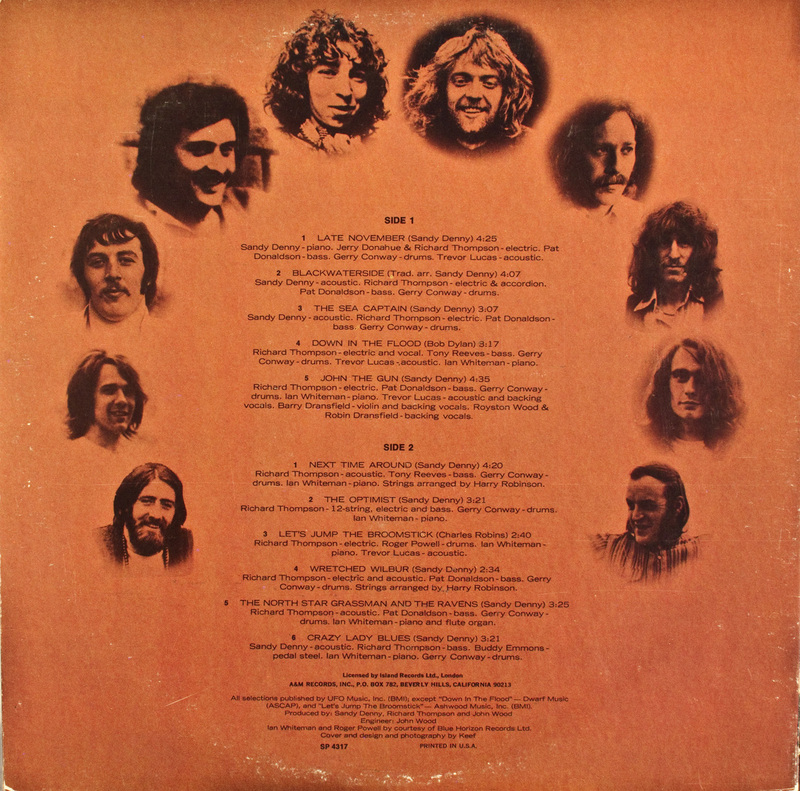 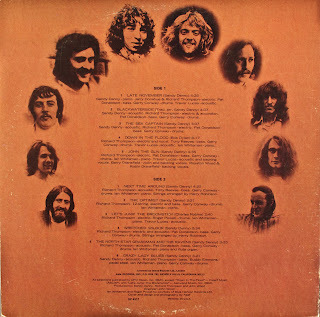 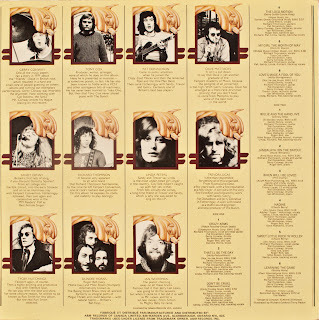 The USA release of the album without a title. 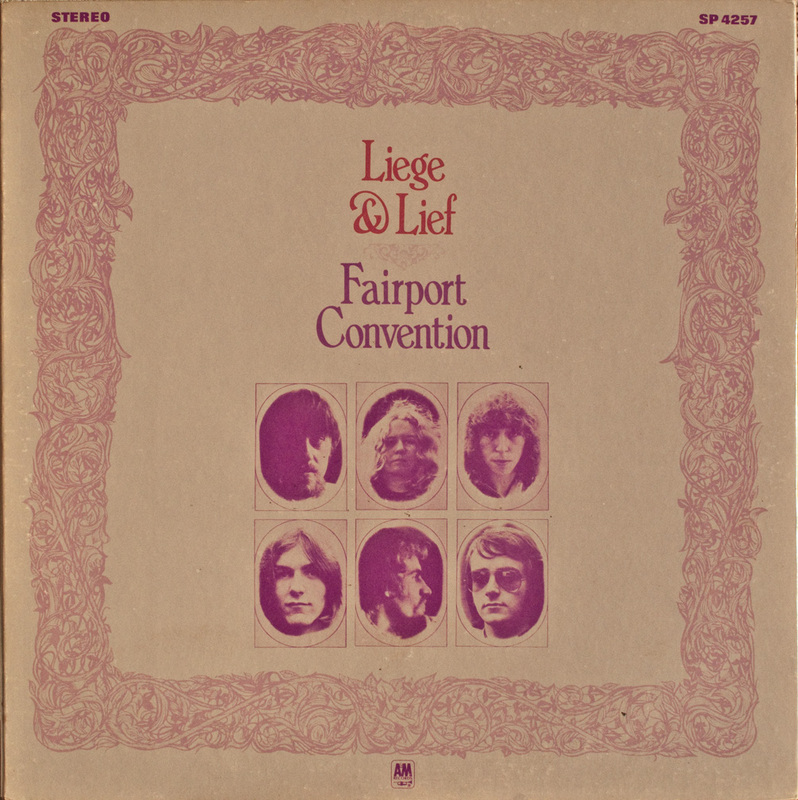 Their fourth album "Leige & Lief". After the car accident they nearly disbanded. 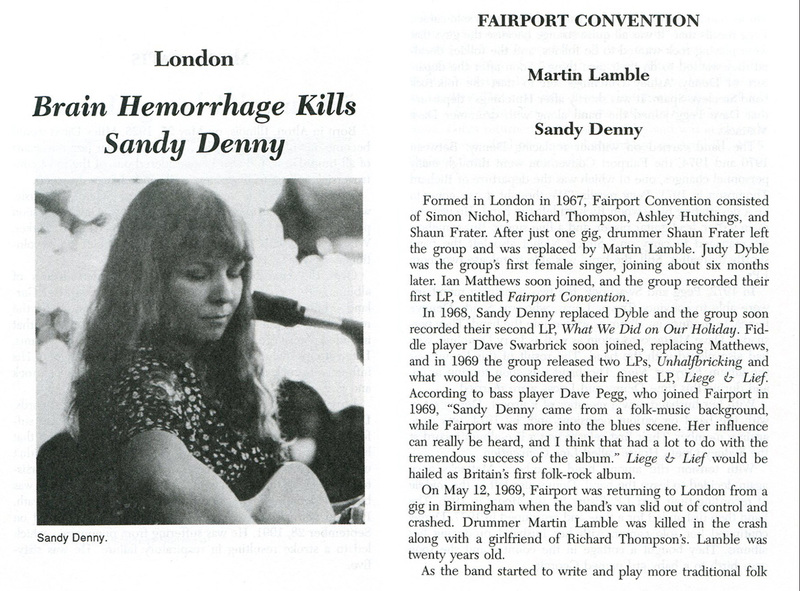 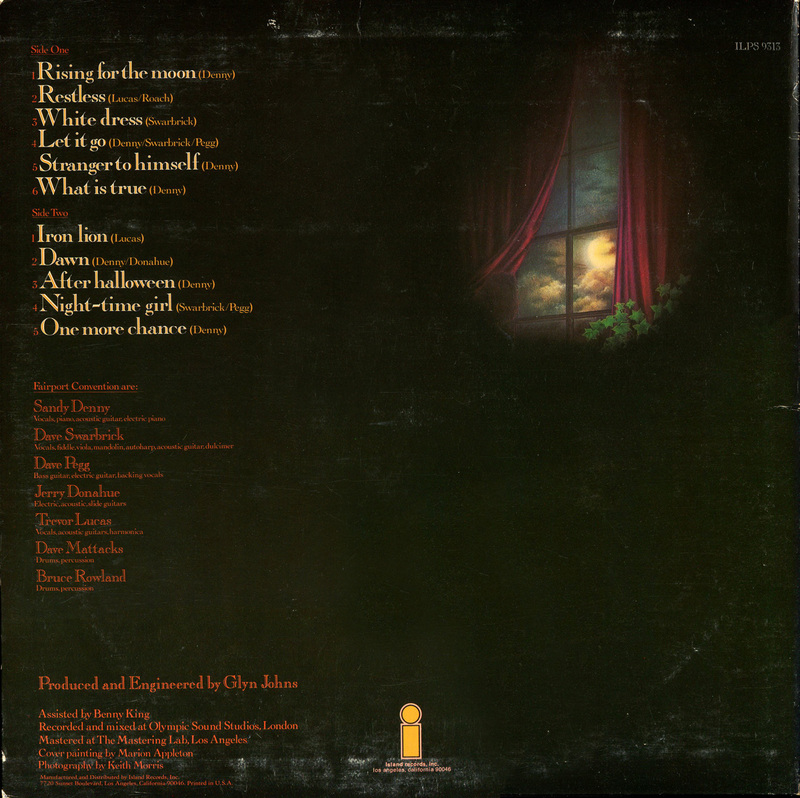 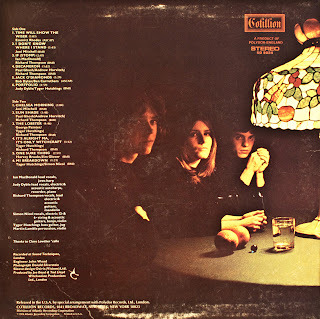 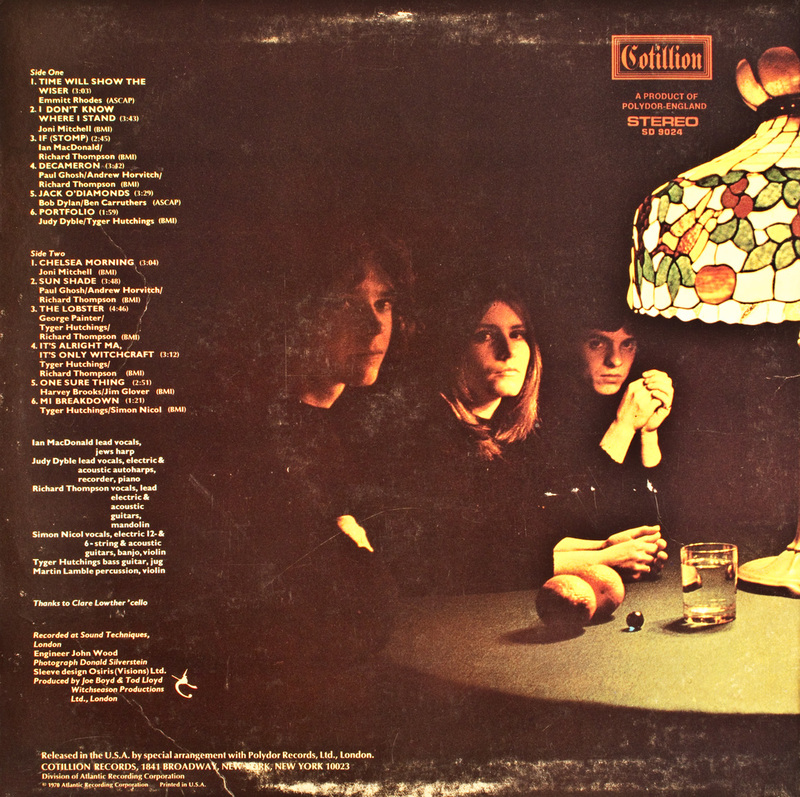 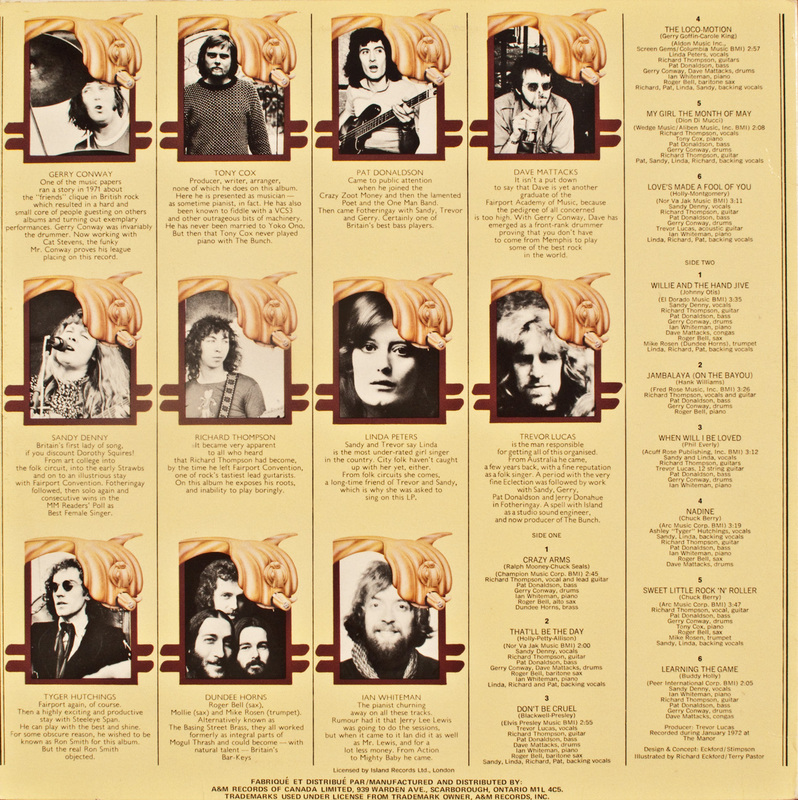 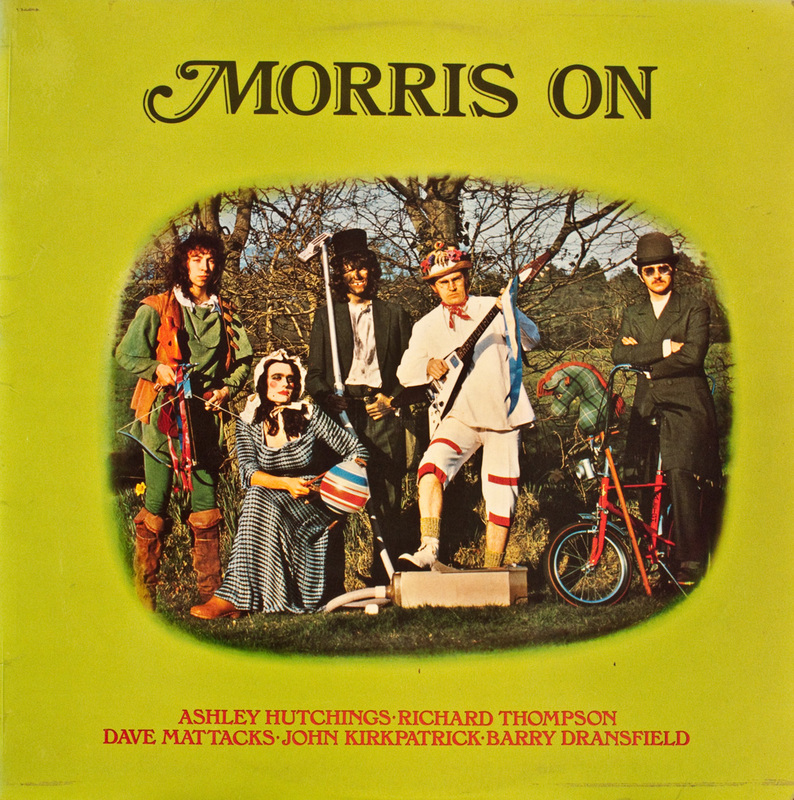 Sandy Denny left and Dave Swarbrick joined. BBC Radio Sessions from 1968-69. Dave Swarbrick and Richard Thompson. 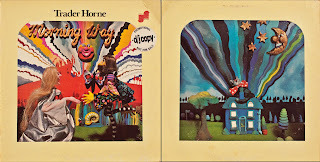 Jerry Donahue and Pat Donaldson. 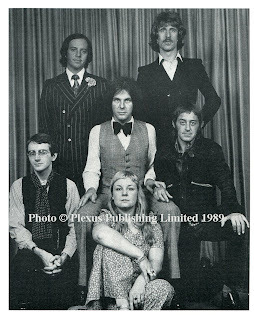 with ex-Them member, Jackie McAuley. 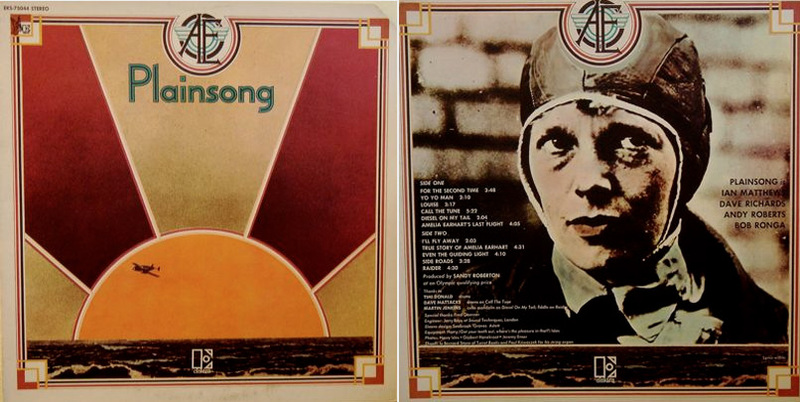 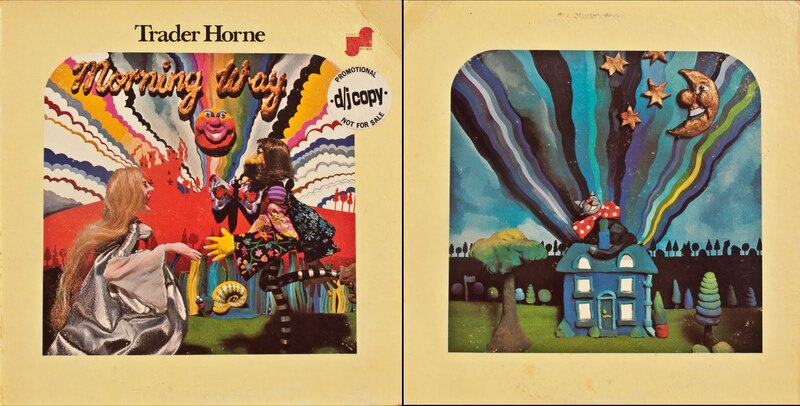 They released one album, "Morning Way". 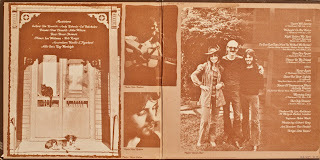 Pat Donaldson, Dave Swarbrick and Linda Peters. Dave Mattacks and Bruce Rowland. 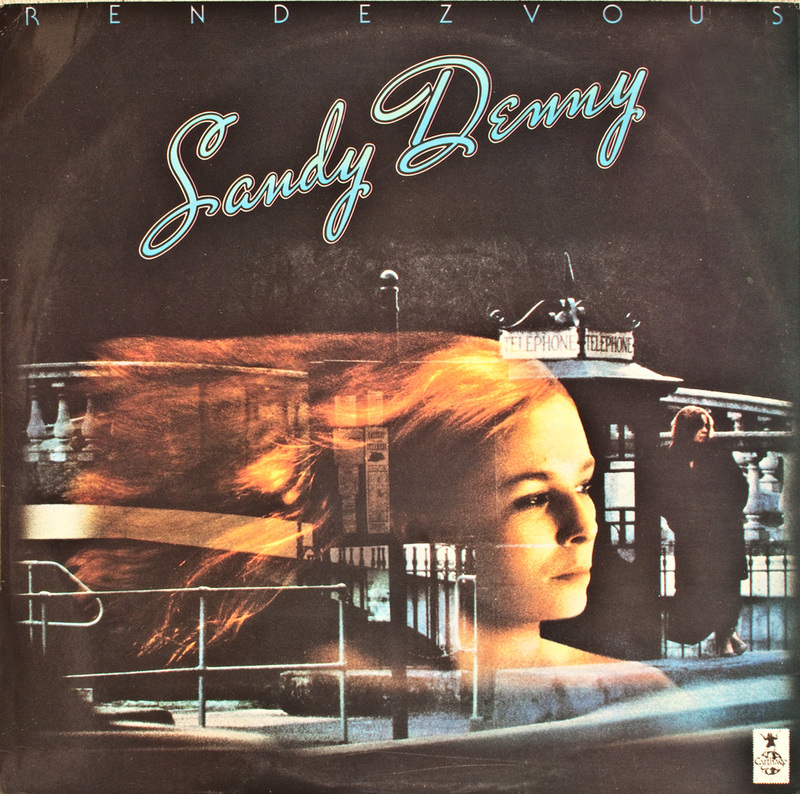 "Rendezvous" was her last recording. 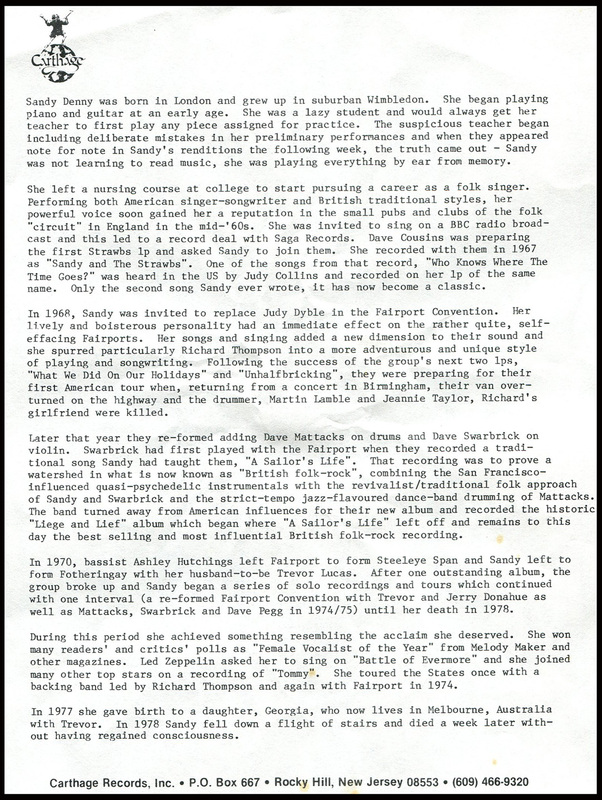 various periods and even one by Jerry Lee Lewis. 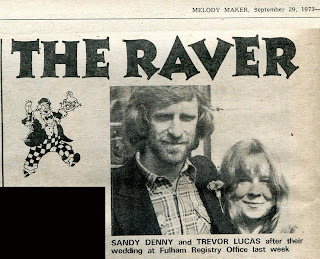 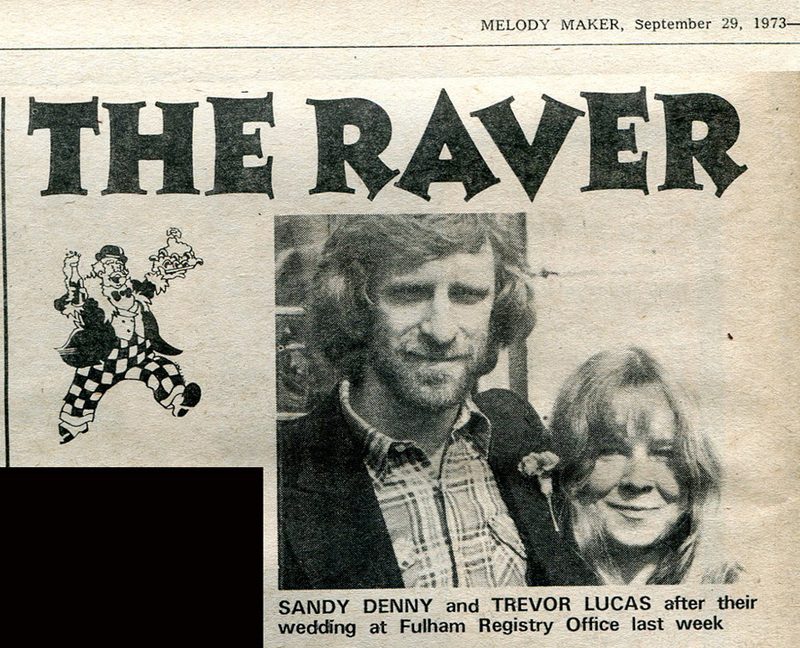 Bruce Rowland and Judy Dyble.